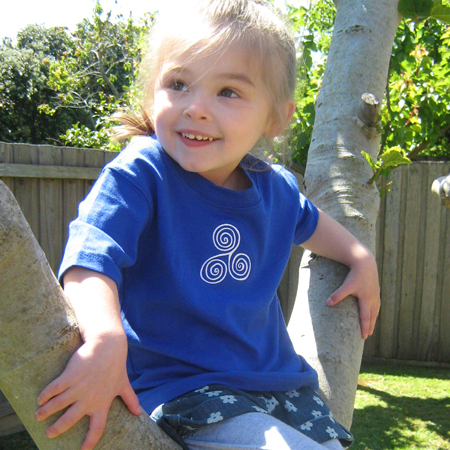 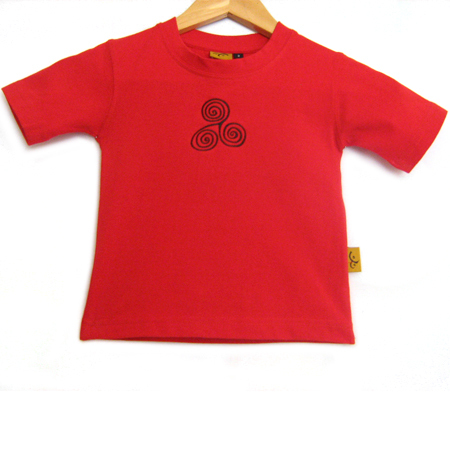 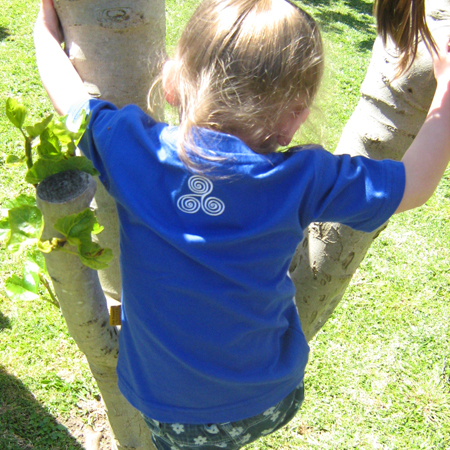 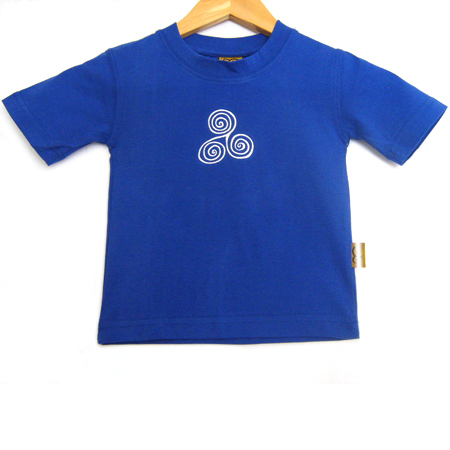 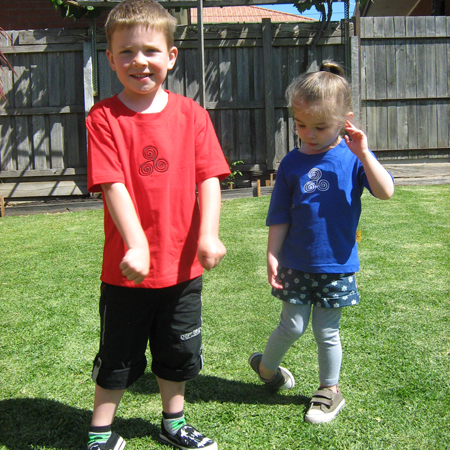 100% Cotton Crew Neck Celtic Kids T-Shirt. 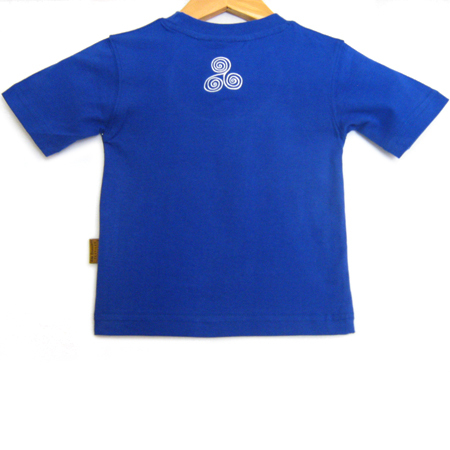 210gsm, 100% cotton, spandex rib neck. 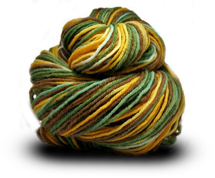 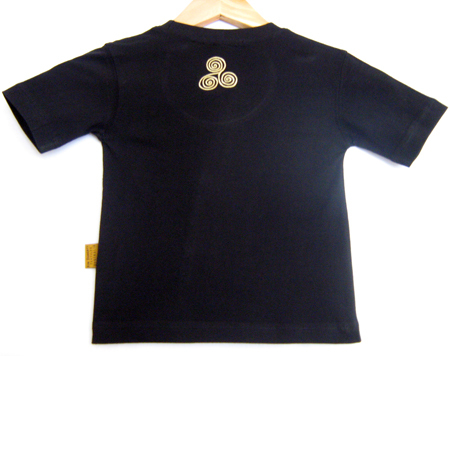 Shoulder seam tape to reinforce the seam for stability. 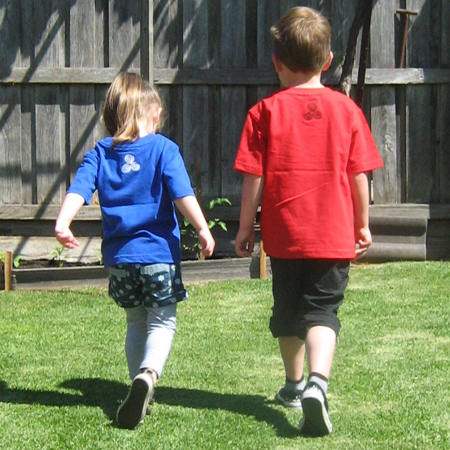 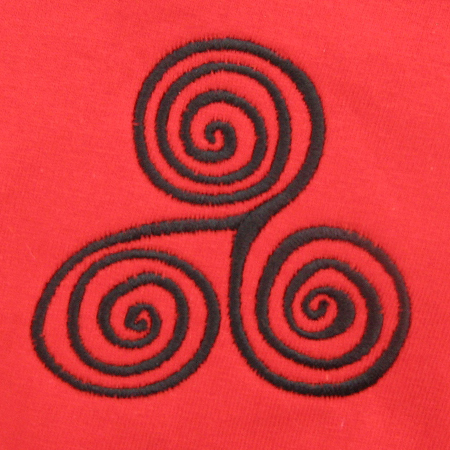 This T-Shirt is embroidered with a triple spiral Triscall design on the front centre chest, and a smaller version of the design on the back just below the neck. 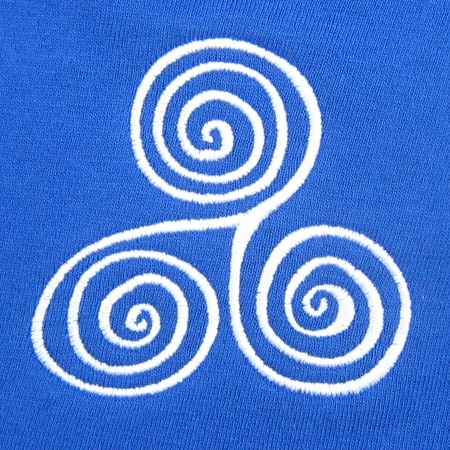 This design is also available in Men's / Unisex, and Women's T-Shirts.